According to The Telegraph, Smartphone owners’ appetite for new apps is waning, with the average number of apps downloaded per user per month declining considerably over the past year. 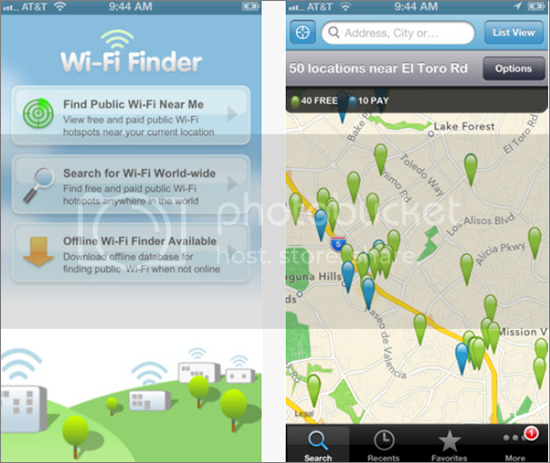 While I am always looking for something new or interesting, once you find an app. that works it takes a truly unique approach to unseat what’s already on my home screen. Almost one in three (31 per cent) of smartphone users in the UK do not download any apps on their device in a typical month, according to a report by Deloitte – a steep increase from less than one in five in 2013. Of those that do, the average number of apps downloaded per month has fallen from 2.32 to 1.82. The report also found that almost nine in ten people never spend money on apps or other smartphone content, suggesting that demand for paid apps is even lower. However, this does not mean the size of the app market itself is shrinking. Deloitte claims that the decline in the rate of downloads per user is due to an increase in the number of smartphone owners over 50, who have less interest in using their phone as a data device. 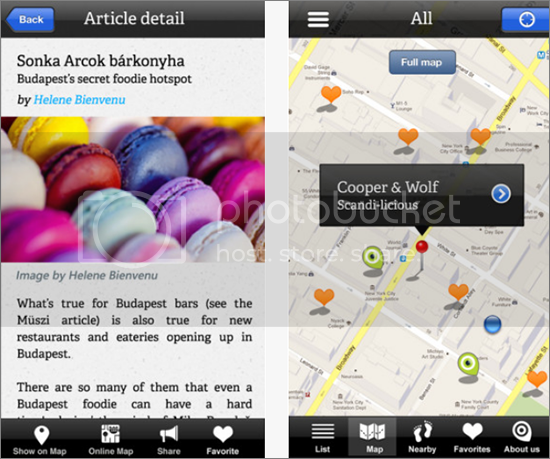 Expat Apps – Where Would I Be Without You? Useful when: You’re trying to by an obscure item of stationary from a shop where everything is behind the counter. Useful when: You’ve forgotten your mum’s birthday for the third year in a row. Useful when: You’re trying to find your way to a punk gig in a squat on the other side of town. But is an app-savvy expat a happier expat? Whether to download or keep it old school is one of the questions of our generation. There can be no turning back time, and to pretend technology doesn’t exist and not use it would be a bit perverse. But, at the same time, please don’t let it ruin the mystique of the experience. Written by Matt Lindley, follow him on Twitter. There are more than 900,000 apps and counting, raking in more than $25 billion annually, news.com.au reports. The upside to a market stuffed with apps is that there are plenty of educational ways to keep kids entertained. But the downside is, with nearly a million apps to choose from, it’s hard to know where to start. Launch your app search for the kids with virtual field trips in mind. Here is a round-up of some of the world’s best museums and the apps that take your kids on an exploration without leaving behind their gadgets. When the Guggenheim Museum opened its doors in New York City in 1959, admission cost just $0.50. Now you can see it for free with its museum app. According to Guggenheim.org, you can check out the Guggenheim app for a look at the building’s architecture, and access collection guides. If your kids are studying foreign languages, choose the collection guides in French, German, Italian, or Spanish. You can learn about more than 1,300 works at the museum with the help of audio and video. Explore the American Museum of Natural History with its impressive Explorer app. The part-custom navigation system, part-tour guide, shows kids everything from the museum hallways, to a virtual look at the dinosaur age. Explorer, found at AMNH.org, has plenty of Museum-designed tours, but if your kids are particularly interested in fossils or space, they can design their own tour right on the app. Download the Getty Museum app to explore art exhibition galleries with more than 40 audio commentaries. If your kids learn better with audio than images, Getty offers interviews with artists speaking about their own work. Kids can also check out works of art, photographs and archival materials. The Getty Museum’s Los Angeles location also makes an appearance, where kids can learn about the city’s contribution to the art scene, according to Getty.edu. Moms with music lovers in the house should check out the Met’s multimedia Guitar Hero app. As outlined on MetMuseum.org’s blog, its clever name gives a nod to the museum’s special exhibition named Guitar Heroes: Legendary Craftsmen from Italy to New York. Take your kids to a guitar shop before poring through the app. Guitar Heroes teaches users a lesson on guitar makers, the creative process and the inner workings of many recordings, as the Apple store notes. Don’t forget to download the Google Field Trip app, now that you have the scoop on museum apps. Get out of the house, and launch Google Field Trip for an interactive lesson that follows you through your day. As Mashable reports, the app can tell you about the history of a nearby statue or old warehouse facade. Google Field Trip also provides a map view, recommendations on places to see, and categories such as Outdoor Art to narrow down the choices. But perhaps best of all, Google Field Trip offers free admission to more than 20 museums. Just walk near the attraction, and a free pass appears to museums such as the Museum of Contemporary Art in Chicago. There are thousands of free museum apps on the market, so start exploring based on your kids’ interests. Then, load up Google Field Trip on your Samsung Galaxy at T-Mobile, or similar mobile rig, and and start your journey. On average, Americans cook just 30 minutes a day, according to the Organization for Economic Co-operation and Development. That’s the lowest average found in a study covering 34 different countries. The implication is that better opportunities do not necessarily increase the quality of living among a group of people. Fast food, prepackaged meals and other conveniences may free up time in our daily lives, but they also affect our physical health. Cooking is a healthy lifestyle choice, and a wide range of mobile apps aim to make cooking more accessible and fun. If you’re looking to bolster your chef skills or simply get more direction in your culinary efforts, consider adding these four apps to your toolbox. 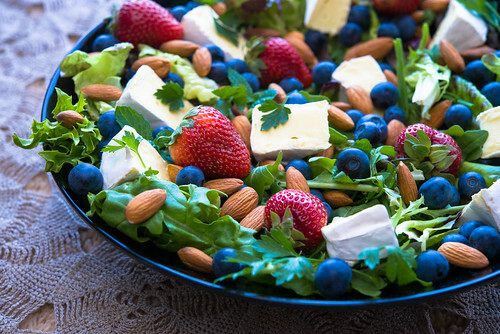 Learn to cook healthy recipes like this brie, blueberry and almond salad with these four great smartphone apps. Image by AmazingAlmonds via Flickr. For discovering new recipes and working with specific ingredients, Epicurious is a great resource. This app collects recipes from a wide range of culinary resources to provide users with a massive body of options. Searches can be done according to the type of meal you’re trying to make or the foods you want to include. Ratings and reviews also provide additional information on these professional recipes, so your first attempt can be a stunner. And if you really love the app, you can sync it with other apps on your BlackBerry 10, including your recipe box and grocery lists, all through one convenient portal. The Food Network app lets you carry around professional chefs and their instructional guides wherever you go. In addition to the text-based recipes, you can watch videos that walk you through the cooking process and even learn additional tips, tricks and techniques that will sharpen your culinary skills. This is a great supplement to your favorite Food Network shows, since you can recall past recipes and segments and consult them during your meal preparation. Other features include meal planners, interactive planners and shopping lists. If you’re looking for a culinary guide offering an international flair, Happy Cooking may be it. In addition to recipes from around the world, this app connects the foods being prepared with the native cultures that invented these foods. Users can create their own dish diaries, which are comprehensive recipes complete with cooking methods and step-by-step photos. In addition to searching by region, recipes can be discovered by searching for ingredients, dish types and whether or not you’re looking for a health-minded meal. Happy Cooking is a great way to explore the world from the comfort of your own kitchen. Want to get the family involved in the kitchen? Get them started by contributing to the grocery list. The big problem with most grocery apps is they only allow one user to edit the list. OurGroceries takes a more collectivist approach, allowing multiple family members to access and edit your growing shopping list. This can be a great stepping-stone to encouraging other family members to take charge making a meal on a set night every week. But even if one party still manages most of the cooking in the home, OurGroceries will make that process much more collaborative and social. Curious Hat’s iPad app InfiniScroll breaks the rules of linear storytelling by creating a never ending magical visual exploration of the wonderful drawings by Francesco Chiacchio. A great way to spark some imaginative storytelling, and simply looks fun. According to some users and experts, comparing Instagram’s new integrated video app to Twitter’s Vine app is like comparing apples and oranges. While this may be true, it’s also clear that Vine and Instagram Video do share some similarities and will therefore compete with each other to some extent. Some are predicting that Instagram Video, which is available for Android and iOS but not currently available on the Blackberry 10, will cut directly into and greatly shrink Vine’s market share. However, others believe there is room for both apps to be successful and grow since they have some key differences that may appeal to particular niches. The key difference with the new Instagram app and Vine is that instead of shooting 6 seconds of footage that continuously loops after uploading like Vine does, Instagram videos take 15 seconds of footage and will not play on a continuous loop. While this doesn’t give you the GIF-like appeal that Vine does, it is less invasive since you will have time to stop a video before it plays unexpectedly. Tim Worstall of Forbes.com and others think this is one of the key features that could give Instagram Video an edge over Vine. Additionally, 15 seconds of video allows for more creativity in the video, and is also the perfect amount of time for advertisements. While both video apps allow you to string multiple clips together, Instagram Video also allows you to delete the previous portion of the video in case you don’t like it or simply messed up. 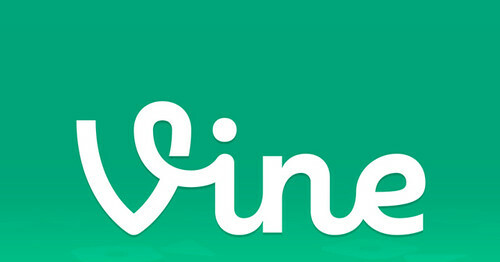 Vine currently doesn’t have this feature. Also, unlike Vine, Instagram has video-filtering and image-stabilization capabilities. Both of these features make for better video quality. And while both apps allow you to share videos to Facebook and Twitter, Instagram adds the ability to share to Tumblr, Flickr, foursquare and email as well. Of course, if the ability to loop and embed videos appeals to you, this is something that Vine provides that Instagram doesn’t. Vine is also a bit more convenient since it’s a stand-alone app whereas Instagram video is part of the Instagram app, which means that Vine requires fewer clicks to make a video. Obviously, both apps make short videos and therefore occupy a similar market. In addition to this, both Instagram and Vine have a front-facing camera as well as save to camera roll, geotagging, automatic sound and autoplay features. Within some of these similarities there are also minor differences. For instance, Vine plays autoplay videos a little faster than Instagram does. But all in all, these features are pretty comparable. It’s too early to tell, but perhaps both apps will remain relevant. It’s not as if the user has to decide which app to use and completely abandon the other, and both are distinct enough to possibly serve different groups within the video-making app world. While Vine built it’s following from the ground up, Instagram already has a user base of 130 million plus. This built-in market is really something that could give them an edge as the competition plays out. Every parent dreads the constant possibility of a screaming, tear-filled tantrum. The key to avoiding these meltdowns may be in the palm of your hand. The next great parenting accessory isn’t a toy, bag or a stroller—it’s your smartphone. Kid-focused apps can help you in almost any situation, whether you’re looking to entertain your child or keep him quiet during a road trip. Angry Birds ($0.99) – It’s become a cultural phenomenon for a reason: it’s fantastic. Shoot birds into pigs. The idea is simple enough for kids but addicting enough to keep them entertained for hours. Children ages four and up will enjoy trying to break down complicated pig defenses. Google Play reports that Angry Birds is the number one app of all time. Kids love it, and so will you. Bord ($0.99) – Let your little artist go wild with Bord, an app that turns your smartphone into a chalkboard. With six different colors and three different line thickness options, your child has the tools to make a masterpiece. When she’s done, save the work and embarrass her when she’s older. Super Why! ($2.99) – He teaches kids to read, rhyme and spell on PBS. Now Super Why is taking his act mobile with the Super Why! app. Kids can improve their reading skills through animated interactive exercises. Users describe what the princess is wearing by choosing between coat, dress and hat, find the animal that rhymes with boat, and collect virtual stickers as they complete activities. If you don’t have PBS, http://www.install-direct-tv.com will help you jump aboard the Super Why! wagon. Until then, this app will help. Park Math ($3.99) – Build your child’s math foundation with Park Math, a whimsical counting, addition/subtraction and sorting app hosted by friendly animals. Park Math offers three levels for preschool, kindergarten and first grade. Your child will enjoy interacting with the characters and gain a better understanding of basic math principles. Mad Libs (free) – Get the whole family involved with this classic game on your smartphone. Let your kids fill in wacky, crazy and funny words and read from one of the 21 stories in each book. New books are available through in-app purchases for $1.99 a piece. Netflix (free) – If you’re looking for a little peace and quiet in the car, the Netflix app can capture your youngster’s attention. Choose from hundreds of kid-friendly titles in the Netflix streaming library. The service costs $8 per month, but the app is free. Bedtime Stories Collection HD (free) – Upgrade you and your child’s bedtime story with the Bedtime Stories Collection HD app, which features unique art on some of the most famous bed time stories in history. Cinderella, Little Red Riding Hood and the Hare and the Tortoise are all top 10 purchases. Each story costs a $1, but like any classic, you can read them over and over again. Season in Review from Teehan+Lax Labs on Vimeo. Season in Review is an iPad app that displays interactive baseball stats on screen and via laser-cut acrylic graphs. If you love Baseball stats you may love this app. Season in Review is hard to categorize. It’s part data visualization experiment, part non-electronic digital product, and part tablet accessory. The combination of dynamically generated physical form, and taking advantage of pre-existing digital device characteristics offer an interesting alternative to crafting experiences. Wake N Shake Alarm App. Alarm clock Wake N Shake has recently updated with a completely redesigned interface to make it minimalist in-line with iOS7, and a pleasure to use and look at… while maintaining its evil, merciless way of waking people up. Animations like a starry night sky fade-in to help users doze off. They also added animated Zzz’s that float away randomly when users take a nap. Other subtleties like having the minutes digits “drain” as seconds go by. Every family in the US has gone, or will go, to the Grand Canyon. It is just one of those rights of passage locations. The place that you pack up and drive to so you can see it for yourself. How many times have you heard people talk about family road trips, with the destination inevitably being this world wonder? That is why it isn’t a shock to find out how many apps are dedicated to it. These are five of dozens that allow you to explore the Grand Canyon. Plan your trip to Flagstaff and the Grand Canyon, from hotels and flights, to activities like helicopter tours and hiking through the national park. There is a ton of information here, and you are able to set an entire itinerary using the data they have stored on local businesses. They also provide a lot of photographs for reference, which is helpful for those who enjoy the outdoors aspect of the trip and want to find specific trails. This is an auto/audio tour that uses GPS to lead you through the park. This includes points of interest like the history of the park itself, schedules that show you events being led through the canyon, information on free shuttle buses, hiking trail descriptions, scenic view guides, and information for local businesses and camping grounds. Not to mention the high quality maps offered with the app. 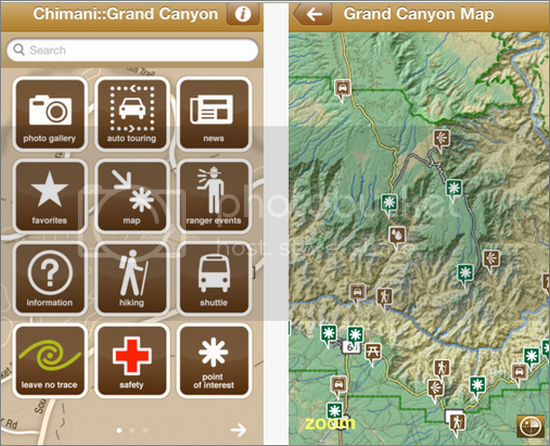 This is the best Grand Canyon app there is, and it is free. Are you a hiker who dreams of exploring this chasm by foot? It is a massive place, and can be dangerous without the right guide. 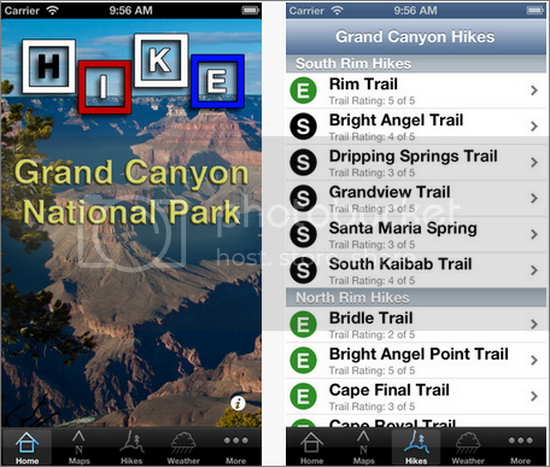 This app plans out routes for the majority of day hikes the canyon has to offer. That includes information on trails and trailheads, landmark and hiking distances, trail difficulty, a map, a vertical profile, elevation change and even Tusayan hotels and nearby. While you will want an additional GPS map available, this is a good one for hiking information. It only costs $0.99, so worth it. 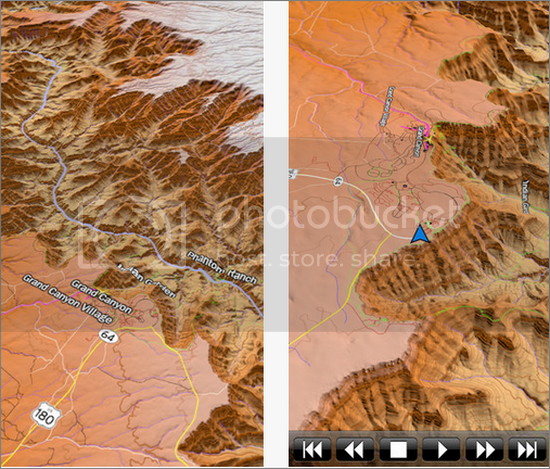 This is a detailed and up-to-date 3D topographical map of the Grand Canyon. The last version had a lot of problems, including some incorrect data. But it has since been relaunched with a much more accurate set of maps. It is also available offline, so you don’t have to worry about possibly losing a signal. 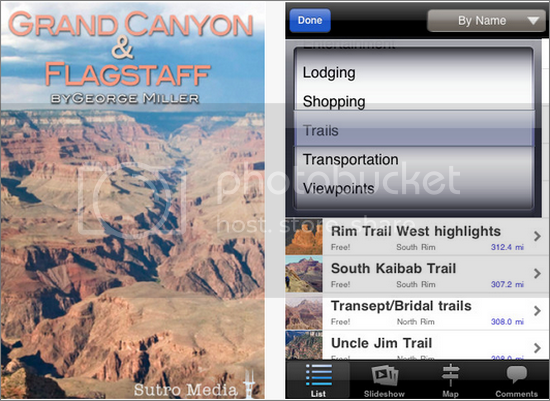 This is an awesome app done by an experienced hiker who went through the Grand Canyon and documented every mile of his hike. This includes the infamous Death March. He also did a helicopter tour to give you a soaring look through the national park. 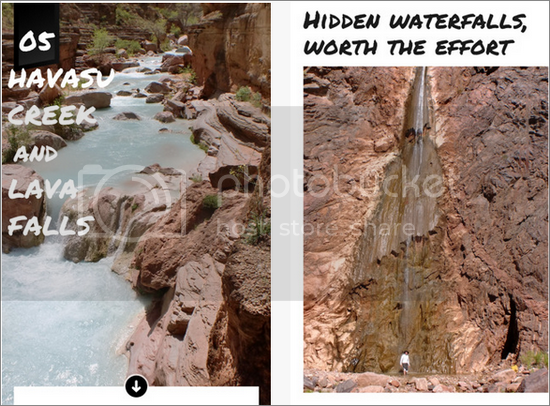 This is a fun, multimedia guide through the Grand Canyon. Be sure to check out the slideshows as well as the videos and guide. Annie Wallace is the stay-at-home mom writing about traveling and lifestyle. We severely limit our kids screen time, the iPad is an added dimension for children’s play and learning, and certainly no replacement for the kinds of interaction I had as a child. When they do have time using their iPad they often turn to apps built by TocaBoca, they are always loads of fun. I find them fun too. Toca Builders allows you to join your new builder friends on an island far away and create a whole new world with blocks. Jump, walk, roll and rotate the builders to use their unique skills, and they will help to build whatever you can imagine. Toca Builders makes it fun to drop, spray, smash and lift blocks to construct new objects – may it be a house, lamp or maybe a banana? Let’s get started by putting down some blocks. This won’t replace the challenge of Legos and wooden blocks but it looks like allot of fun. I don’t live in email but this new email app for iOS looks promising … Boxer “provides the ability to quickly triage your inbox and respond to new messages through simple swipe gestures”. I especially like the attachment feature.